Rearranged for THIS SATURDAY 4 April 15!!! Cadet Flight Sergeant (FS) Oliver Bremridge is setting 84 Squadron the challenge of raising over £250 by completing a sponsored walk around Draycote Water. FS Oliver Bremridge is currently taking part in the highly prestigious Junior Leader Course which selects only the best, most competent cadets and puts them through their paces one weekend every month throughout the year in a variety of different tasks and challenges. The majority of training is based around fieldcraft skills, teamwork, leadership activities however they are also tasked with raising money for charity as part of their assignments. 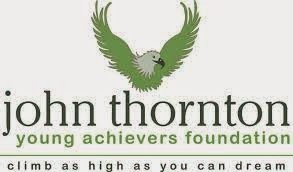 FS Bremridge has chosen to raise money for the John Thornton Young Achievers Foundation who specialise in raising money to support young people from a wide range of youth organisations providing them with scholarships and bursaries to support their personal development and the pursuit of their ambitions. [See link above for more information]. So on Saturday 4 April , cadets and staff from the squadron will complete the walk around Draycote Water which is approx 5miles. They will be asking for your support to this very worthy cause and we hope you can help out by making a donation, sponsoring them for the entire walk or a dedicated amount per mile. **NEW! ** We have set up a Just Giving donation page if you would like to sponsor us via the website, alternatively forms will be available from the cadets and at the squadron. DETAILS FOR SATURDAY: Cadets to meet at the main carpark at 1400hrs in civilian clothing suitable for the weather conditions on the day. Bring water and any snacks you require plus your Sponsorship forms and money. Parents are welcome to join us but please note car parking charges of £2.50 apply. Approximate finish time will be 1630hrs. Thank you for your support and Good Luck to all taking part!